We survived Florence, but Hurricane Season isn't over yet. 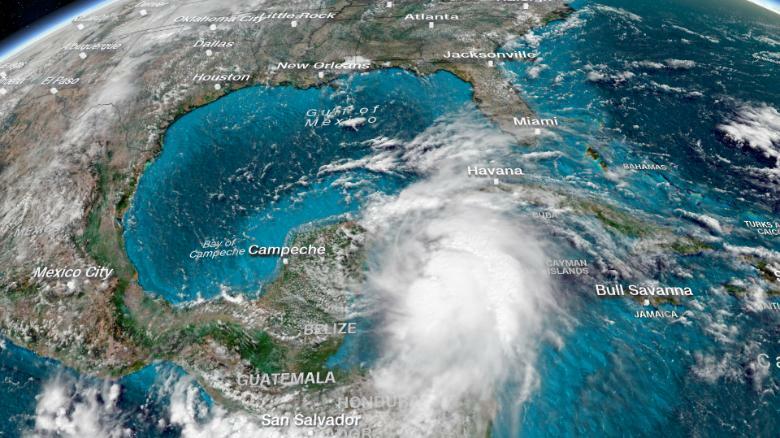 Hurricane Michael formed Sunday in the Caribbean as a tropical storm, and was then upgraded into a Category 1 hurricane Monday morning, according to the National Hurricane Center. It could make landfall at the Florida panhandle as early as Wednesday or Thursday morning, dumping heavy rain on the Carolinas as they still work to recover from Hurricane Florence. As of 11:40 a.m. EST on Monday, the storm has wind speeds of 75 mph, and is about 105 miles east-southeast of Cozumel, Mexico. It is rapidly intensifying and has the potential to hit land as a Category 2 or 3 hurricane. The storm is predicted to head straight for the gulf coast, most likely making landfall around Wednesday. The heaviest impact will likely be felt in the state of Florida, where Governor Rick Scott says he plans to declare a state of emergency in advance of the storm. But how will it impact Virginia, D.C., and Maryland? In the kind of frustrating answer meteorologists are known for, they give an honest one that acknowledges the mutability of the medium it is their job to understand: there are a lot of ways this could go, and we don't know yet. Meteorologists predict a few showers could impact southern Virginia by Wednesday afternoon, with scattered showers possible in central Virginia in the Richmond region around the same time. Tropical downpours are possible on Thursday, if things escalate, and at this point, the path of the storm is headed for Maryland and D.C. as well. However, things are still early. Iyer said the exact track of the storm is "very uncertain" and that the National Weather Service will have more information in the next few days as its path continues to escalate. Iyer recommends that residents monitor their local forecast. Residents can also track Hurricane Michael's progress in real time on the National Hurricane Center website. Are you ready for the rest of Hurricane Season? Let us know how you monitor your weather updates in the comments below. Did you see the Banksy painting shred upon selling at auction? See it here!